These delicious fried chicken wings in a sweet and sour sauce make a great appetizer or party snack. 1. Mix the chicken stock, vinegar, soy sauce, sugar, red chilli powder, corn flour and onions in a bowl. 2. Heat oil in a deep frying pan over medium flame. 3. Fry the chicken wings for 10 minutes or until golden brown. 4. Remove and drain excess oil. 5. Heat the sauce in a nonstick pan for a minute and pour this over the fried chicken wings. 6. Mix well until evenly coated. 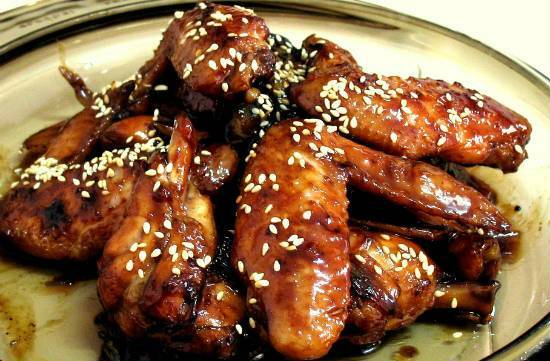 Feel free to comment or share your thoughts on this Sweet and Sour Chicken Wings Recipe from Awesome Cuisine.